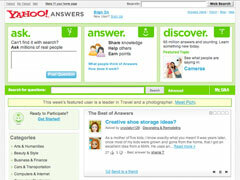 Yahoo Answers and other anecdotal aquarium information for aquarium hobbyists. I have been in the aquarium trade in a professional capacity for over 28 years and as a hobbyist for almost 40 (as of the time of writing this blog entry). I also have been conducting research both hands on and via internet and books for a long time too. I caution anyone who is searching for reliable aquarium and pond information to be very careful in what they read and believe as much of what is passed around as fact is often tired old information that might sound good in theory but in reality is nothing more than someone’s often misguided opinion. Much of the research I perform is outside the aquarium and pond keeping hobby/industry as there is often much better, well researched and funded information to be had elsewhere (and without the constant recirculation of poor information). The internet and Yahoo Answers in particular can be poor places for aquatic information if one is not careful. I will especially tell readers to be wary of Yahoo Answers as the format is very poor for allowing truly good information to get passed. I used to be a Top Contributor there, but since I needed to go back to research and other aspects of my aquatics occupation, I lost this so called credibility. Another problem is that many persons there get multiple aliases so that they can reward themselves with “best answer” when it goes to voting. The communication is poor there and there is a competition to get answers out fast regardless of the fact. Also I have noticed that the vast majority of resources cited are very poor with little relevance to the question asked and most persons who answer questions never read others resources to see if they should even bother answering the question, rather they often will try and out do the other. Also be wary of blog posts that are nothing more than ways to sell drugs like Viagra and even sites such as about.com that may have some good information are still in the end often anecdotal.